It has been a busy time, with direct and distributor business strong. My recent direct sales include an EASYHEAT for curing special epoxy resins for the space and satellite industry and selling three systems into Bulgaria to a major manufacturer of sensors for testing of the sensors. 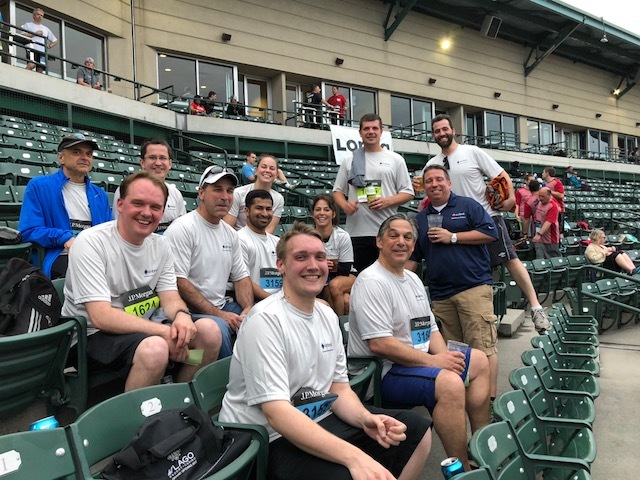 On May 22nd, Ambrell participated in the J.P. Morgan Corporate Challenge in downtown Rochester. It is a 3.5 mile (5.6 km) race that takes place in 13 cities in seven countries on five continents. Participants range from serious runners to casual walkers. The very top finishers (which, no, we didn't have anyone running the course in 20 minutes) qualify for the championship in Boston. Most importantly, this race raises money for a local charity in each city. In the case of the Rochester race the Veteran's Outreach Center benefitted. Nearly 9,000 ran/walked the race this year in Rochester. A manufacturer of steel structures needed to heat magnetic steel angle irons for a bending application. They were using a portable induction unit with blankets for initial heating and then a torch to achieve the target temperature. They came to Ambrell hoping to simplify the process and reduce their heating time. 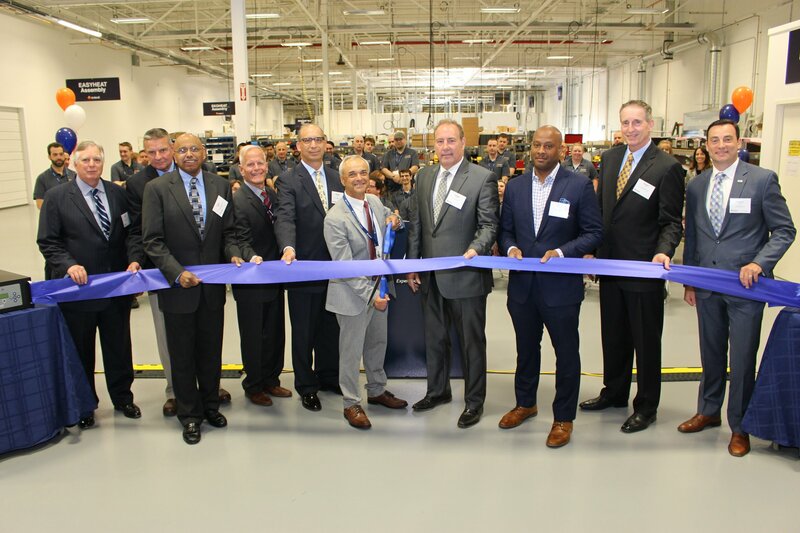 The Ribbon Cutting Ceremony that celebrated the new 80,000 square foot (7,430 square meters) facility in Rochester, NY took place on June 8th. Vendors, dignitaries and some local customers came out to enjoy a continental breakfast, hear speeches, see the ribbon cutting, and get a tour of the new facility. The event saw higher attendance than anticipated and coverage from a local television station. It was also streamed on Facebook and the recording has received about 500 views. 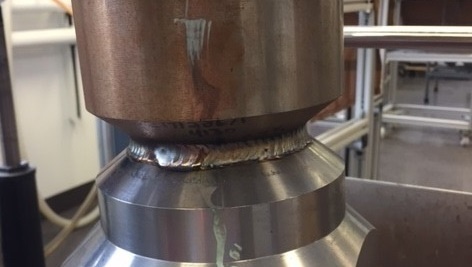 A company that specializes in flow control solutions turned to THE LAB at Ambrell to heat a steel valve to 400 °F (204 °C) for a welding preheat application. This process is new to the customer and they turned to induction because of the potential for rapid heating and reduced cycle times. 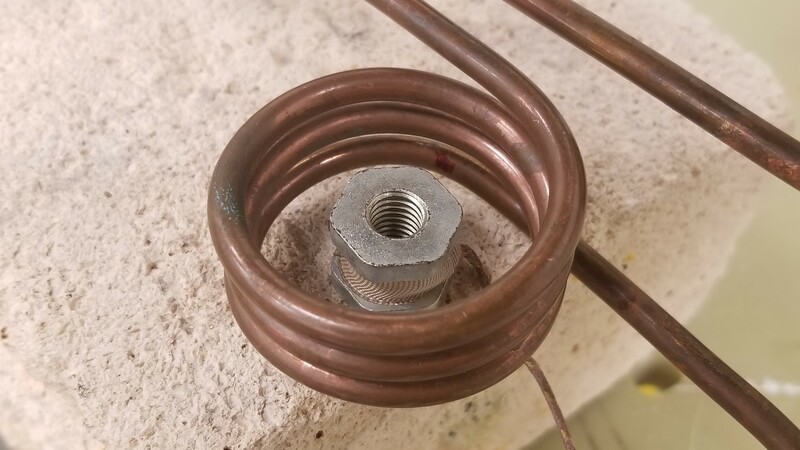 An industrial instrument measurement manufacturer came to Ambrell looking to pre-heat steel tubes for flattening and bending. 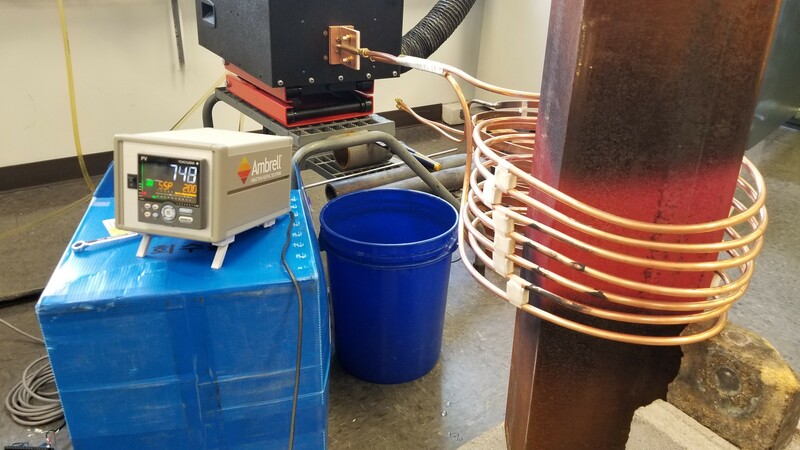 They were using an oven, but wanted to reduce their heating time while also taking advantage of the precision and efficiency of induction heating. With summer almost upon us, the spring trade show season is coming to a close. 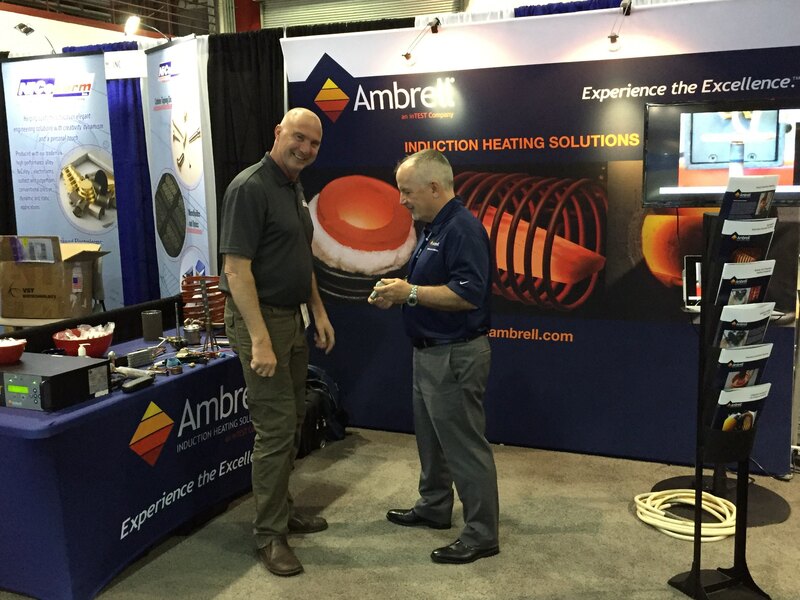 In May, Ambrell participated in the Offshore Technology Conference (OTC) in Houston, TX USA and Electric and Hybrid Vehicle Expo in Hannover, Germany. OTC was a good show for us, as the energy industry is rebounding a bit and we received some good quality leads. The Electric and Hybrid Vehicle Expo didn't match up to the U.S. version we attended in Novi, MI last year, but it was important for us to check the show out and assess it. There is a law in the United Kingdom and in Europe that all cigarette branding cannot be shown on the cigarette packets themselves. Instead, cigarette companies must use plain packaging (no images, messages or logos of any kind) and display easy-to-read health warnings only. So what do tobacco manufacturers do when they want to promote differentiation, say, with one of their premium brands? Well, they look for creative or innovative ways to stand apart. The Move into Our New Home is Complete! We've moved into our new home at Canalside Business Center. The move went smoothly and was completed on schedule. Our new address is 1655 Lyell Avenue, Rochester, NY 14606. 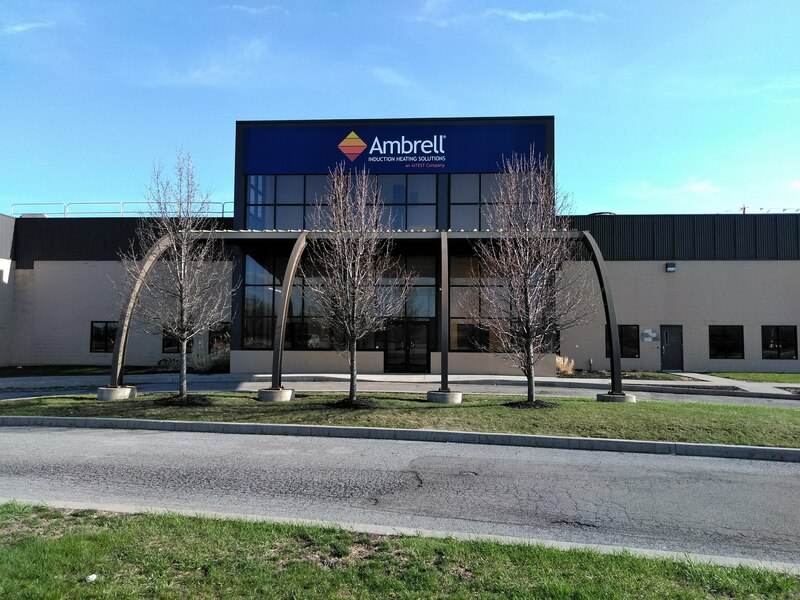 The phone number for Ambrell remains the same at +1 585 889 9000.